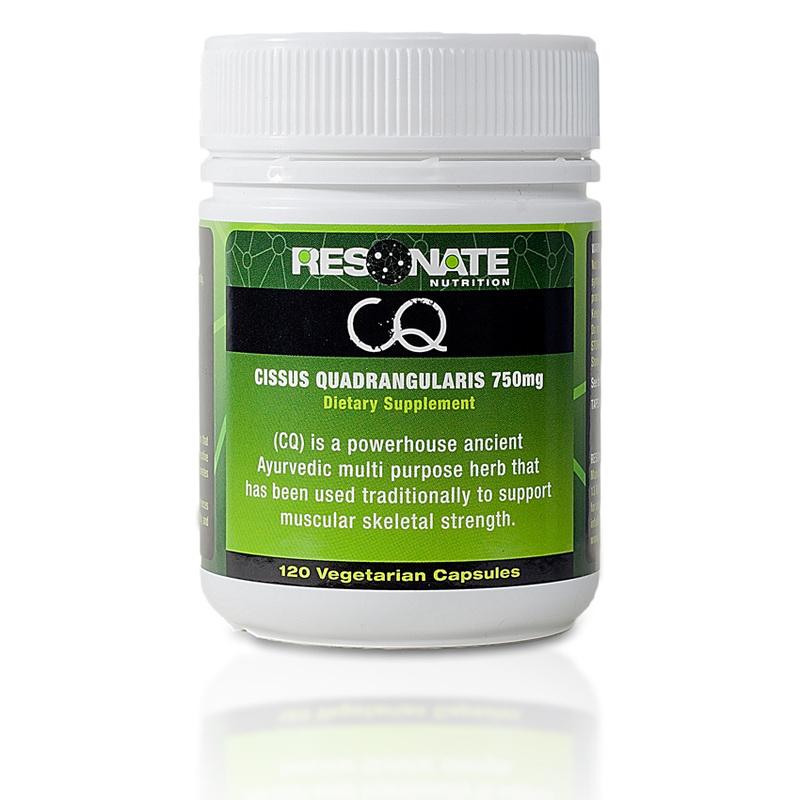 Welcome to Resonate Nutrition, home of the remarkable Ayurvedic herb Cissus Quadrangularis. (CQ) Here at Resonate we focus on just one product. It is a powerhouse ancient herb with proven health benefits in a multitude of areas and not just the latest fad. We feel so happy to be able to bring to our customers CQ. The feedback we receive everyday gives us confidence we are providing the right solution for joint pain relief, especially from arthritis pain and as an osteoporosis treatment. CQ is a powerful herb to aid in accelerated healing of bone breaks and as a weight management supplement. If glucosamine and chondroitin are not giving you the results you hoped for, it is time to try Cissus quadrangularis. Cissus is an ancient herb with some incredible science behind it. Primarily CQ is used to aid in the healing of broken bones and injured ligaments and tendons. A large portion of our customers are athletes. Why is this? CQ aids in the production of collagen. When a ligament, tendon, or muscle is injured the collagen fibers are damaged and your body works to inflame the area and send collagen to repair the fibers. Since training wears your body down and can cause injury, collagen is needed for tissue repair. An increased amount of available collagen will quicken the process of recovery, whether you’re recovering from a workout or recovering from an injury. What this means for you is you will need less recovery time and less time out of action with sore or injured muscles! This remarkable Ayurvedic herb also has the potential to address the core components of a major modern malady called 'metabolic syndrome' (weight gain, triglycerides, blood sugar and cholesterol) while also healing bones and reducing joint pain. Studies have show CQ has contributed to significant reductions in weight, body fat, total cholesterol, LDL-cholesterol, triglycerides, and fasting blood glucose. The powerful anti-inflammatory effect of CQ is of major importance considering the proven inflammatory link to the current plague of degenerative diseases. Resonate Nutrition is committed to bringing the highest quality, innovative health & healing products to you. For the purpose to help people gain a better understanding of health to know what it is to have vitality in their life through the path of nutrition. We strive to deliver the purest, freshest most active ingredients in our products. Using life-changing plants, foods and medicines from around the globe that will elevate health, mind, body and spirit. Kelly Slater spotted using CQ!